Put together dadcando’s best dragonry projects with Sir Richard Baron’s fantastical adventure stories behind them and you get Dragonolia, the wonderful new book by Chris Barnardo. Gorgeously designed to recapture traditional Victorian values of quality and story telling, Dragonolia is a collection of 14 short stories each one wrapped around a uniquely inventive craft project. Sir Richard’s motto, Life is Your Adventure, is as true now as it ever was, so why not join him on this wonderfully nostalgic trip. 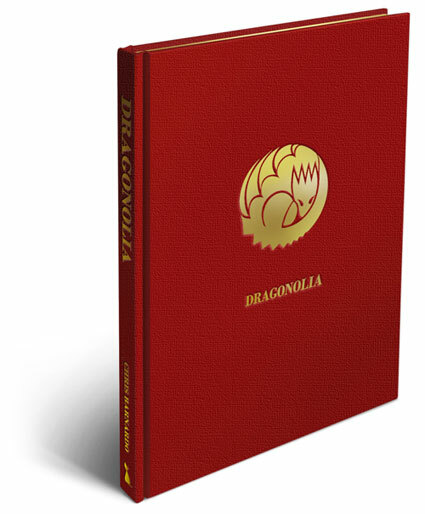 Dragonolia makes the perfect gift, bound in a rich traditional red cloth-covered hardback cover with gilt-edged pages and an authentic Victorian style layout. Dragonolia is suitable for children from about 8 to adult, with projects to suit any ability from children working alone to projects that will be fun to do together. It may be purchased here, deep in the heart of the Amazon Jungle. There are two distinct legends about the dreamcatcher. In one, the sleeper’s good dreams pass through the hole in the middle of the web while their bad dreams are caught in the thread and dissolve with the light of day, in the other, the opposite happens, and it is the bad dreams that pass through the hole and the good ones are caught by the web and able to pass down into the dreamer. Given that this is called a dreamcatcher, I favour the second legend.
. . . You can now make one of these beautiful ornaments by following my simple instructions. If you don’t have any feathers you can easily buy some from a gift shop, or cut some out of fabric, but better still, you could plan a wild feather hunt. Thirty minute’s walk along a quiet country road or pathway and if you look carefully you should be able to find plenty of feathers, I certainly did. Take a picnic and make an afternoon adventure out of it. You’ll be sure to find plenty of feathers and have a lovely time, and then you'll have even more fun making the dreamcatcher. The latest Mythical Beast drawing project series concludes with three horrible half human creatures. These beastly forms fascinated and terrorised antiquity, although it is certainly true that they were misunderstood. I have created a new set of original drawings perfect for developing your drawing skills, while making gorgeous greetings cards or illustrator's plates. We have nine illustrations in all and and this is the third set of three. 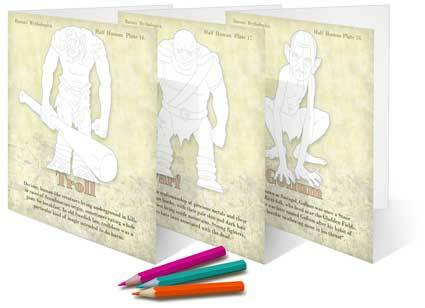 This week there are three Draw and Colour Half Human creatures to choose from: the Troll, Dwarf or the sadly sneering Gollum, wringing his hands for you to colour in. Keep your finished work as a set of beautiful drawings, or use the simple instructions that come with each download to make lovely greetings cards. Pale coloured outlines mean that you can draw over the image to get the best "I drew it myself" result. Each card has a short fact about the Half Human in question, so you'll be learning some interesting classical facts as you draw. There are loads of other creatures in the Draw and Colour project list, so if you'd like to see more, go to the Doing Section where you'll find them ready to download. 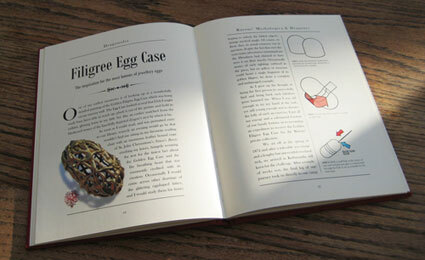 Dadcando makes it into print - makes a gorgeous book and a lovely present! 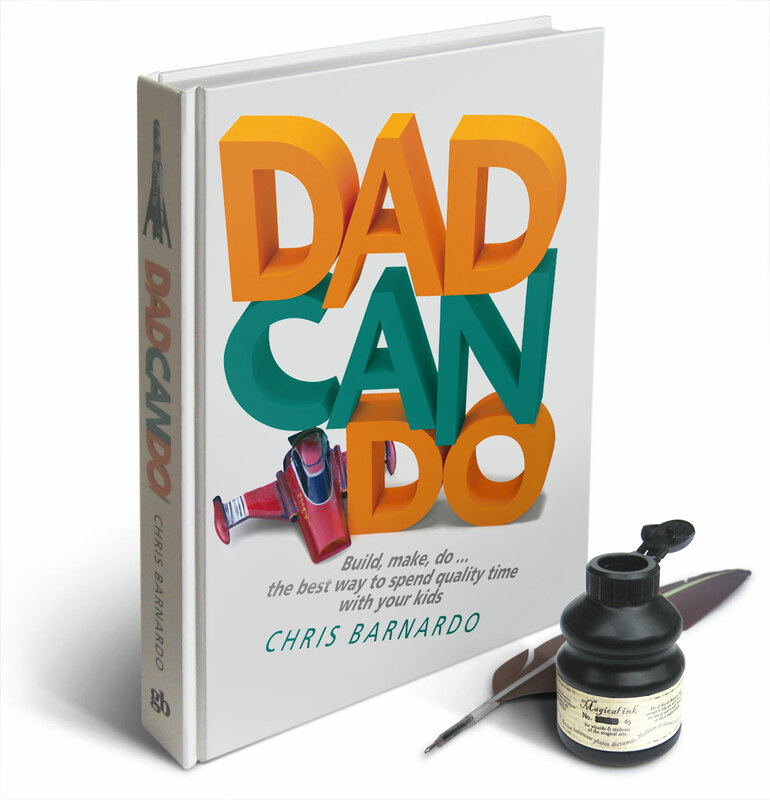 It can’t come as a surprise to anyone visiting dadcando that as well as being passionate about the importance of dads in their childrens' lives, I have always wanted to write. So it was not only an honour but also a dream come true when Guardian Books approached me to write a book about dadcando. They loved the idea of dadcando and believe wholeheartedly in the ethos of the site and the support it gives for dads, single parents in general and in fact anyone who wants to get the most out of the time they spend with their kids.
. . . And here it is, published and on sale at Amazon.co.uk, Play.com, Waterstones and (as they say) all good book shops. The book itself is very high quality (like everything on dadcando) and if you like dadcando then you’ll love this book, but it also makes a great gift for anybody else who you think might like a bit of inspiration. The book has some of my favourite projects in it, actually 55 in all, including some lovely experiments and some 60 of my top tips for setting up and running a lovely home, and as always, being there for your kids. You can still buy it from Guardian Books. Every page laid out with the same clarity, care and attention to detail of the site. 55 fabulous projects are mingled with some great top ten tips including articles on how to make your house a home and how to help your kids be creative. 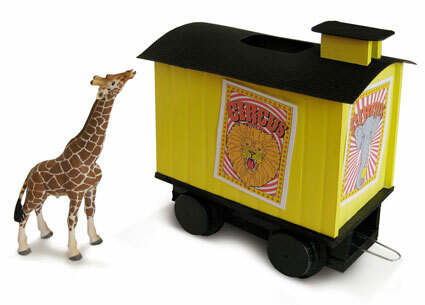 Another great train carriage, the Giraffe Boxcar Circus Train Carriage. Make this out of junk! A new carriage to really get your Circus Train going. In the old days before computer games, before television and (if you can believe that there was a time before cinema) before the Movies, it was a big event when the circus train came to town. Now you can build your own Circus Train. This great little project is easier than you think and is part of making your whole great looking train set. So what exactly are you waiting for? Make this wonderful model, and the steam train, which together are perfect for hours of fun and enjoyment. The latest Mythical Beast drawing project series continues with three deliciously dark beasts. These creatures fascinated and terrorised antiquity. I have created a new set of original drawings perfect for developing your drawing skills, while making gorgeous greetings cards or illustrator's plates. We have nine illustrations in all and and this is the second set of three. This week there are three Draw and Colour Dark Beasts to choose from: the Hydra, a kraken or terrible three-headed dog, Cerberus, guard over the gates of Hell itself. Keep your finished work as a set of beautiful drawings, or use the simple instructions that come with each download to make lovely greetings cards. Pale coloured outlines mean that you can draw over the image to get the best "I drew it myself" result. Each card has a short fact about the Dark Beast in question, so you'll be learning some interesting classical facts as you draw. There are loads of other creatures in the Draw and Colour project list, so if you'd like to see more, go to the Doing Section where you'll find them ready to download. In the old days before computer games, before television and (if you can believe that there was a time before cinema) before the Movies, it was a big event when the circus train came to town. 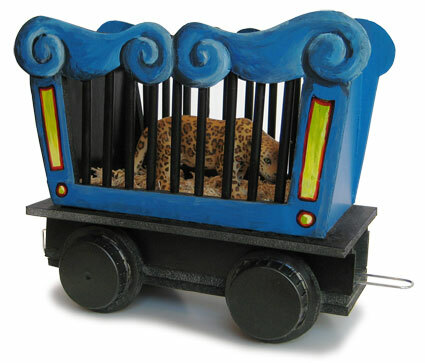 Now you can start building your own Circus Train. This great little project is easier than you think and is the start of making your whole great looking train set. So what exactly are you waiting for? 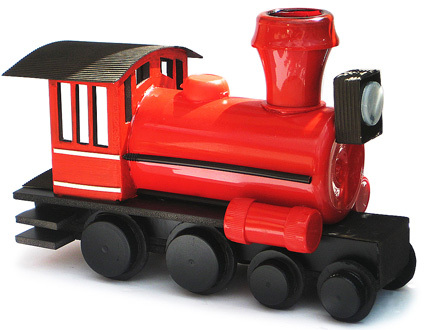 Make this wonderful model, and the steam train, which together are perfect for hours of fun and enjoyment. After the success of our last Mythical Beast drawing project series, we have created a new set of original drawings perfect for developing your drawing skills, while making gorgeous greetings cards or illustrator's plates. We have nine illustrations in all and we will be releasing 3 each week. This week there are three Draw and Colour Winged Beasts to choose from: a harpy, a hippogriff or the beautiful little faerie. Keep your finished work as a set of beautiful drawings, or use the simple instructions that come with each download to make lovely greetings cards. Pale coloured outlines mean that you can draw over the image to get the best "I drew it myself" result. Each card has a short fact about the winged beast in question, so you'll be learning some interesting classical facts as you draw. There are nine more creatures in the Draw and colour project list, so if you'd like to see more, go to the Doing Section where you'll find them ready to download. A few months ago we put up a new project to make a steam locomotive from a collection of old junk. Well here's the tender for that steam loco. The tender itself is built on a basic, junk-made train car chassis that will be the basis for a number of fabulous projects, which when all built up will be a gorgeous circus train. If you haven't made the steam train locomotive you should start with that. The great thing about this project is that the resulting model train is satisfyingly big and therefore is not only fun to make and great to play with, but makes an attractive ornament. 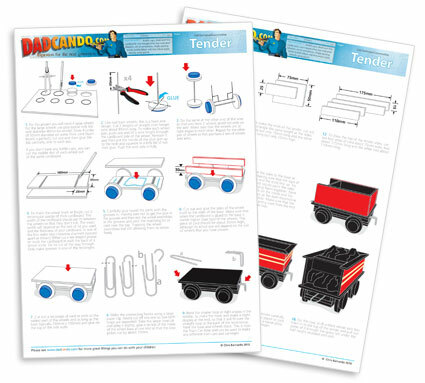 Instructions for making the train tender are like all dadcando downloadable instructions, clear and simple and beautifully illustrated. The tender download can be found here, so what are you waiting for. For tens, if not hundreds of thousands of years we have been telling stories in pictures. Drawing your own cartoon comic strip is not too difficult if you break it down in to a few simple steps. Firstly, develop your characters. For the best results use a mixture of quirky personality traits for each of your characters, which will give you plenty of humorous potential. Secondly, design your characters. Keep the designs simple so that you can draw them over and over again in different poses easily. Why not look at some famous carton comic strips and see how they have done it. And, thirdly, plan out your story lines, start by keeping them simple too, adding in odd little references to your own life to make them interesting. Download our Comic Strip Templates to really get you started. Insects represent more than half of all living things on the planet Earth. They are part of a group of animals called arthropods, that is animals that have the skeletons on the outside in the form of shells or carapaces. Although regarded as pests my many adults, insects are important to humans because they pollinate plants, and are endlessly fascinating to children on account of their bright colours, weird body shapes and minutely detailed features. 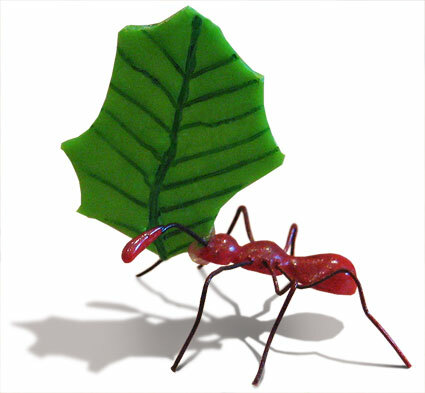 So why not make some in this super little project, Creativeman's Glue Gun Bugs inspired by dadcando member, Creativeman. Christmas is nearly here and if you haven't got time to start any new making or doing projects, but still want to be a real hero to your kids, the hunt must be on for the perfect Christmas present... well your search might just be over, because, here's one I made earlier. Yes! Now you can see what I have been doing with my time over the last few months, while you've been waiting for a new project to appear. Together with a dear old friend of mine, I have designed and developed this beautiful, magical wand that uses infra red remote control technology to bring the wizarding fantasy alive. As you know on dadcando we love the fantasy angle and the whole way that myths and storytelling when combined with craft can bring wonder in to our (and our children's lives). Dadcando's most successful project is the "Make your own Wizard's Wand", so what better way to celebrate that than by designing and making and selling a really magic wand. Have a look at these gorgeous pictures and then go to the the Wand Company website, and check out the Kymera Wand phenomenon that has become the subject of over 250 blogs in the just last two months. In the next couple of weeks, dadcando will be publishing some new craft projects, but until then I hope that this can keep your imagination alive, and if you're lucky, maybe you'll even get one. Everyone's a winner in this race for knowledge. Growing broad beans down into a clear, curved ploy-tube is an exciting experiment to do with your kids and will give you plenty of opportunity to discover together, what happens when a seed germinates and how plants grow. Instead of being hidden in soil (as would normally be the case), this innovative project uses the magnifying combination of the water and a clear tube to reveal the beans' delicate root structures. Choose your own bean and see how well it does against the others. Whose bean grows the quickest? If one gets ahead, do the others catch up? 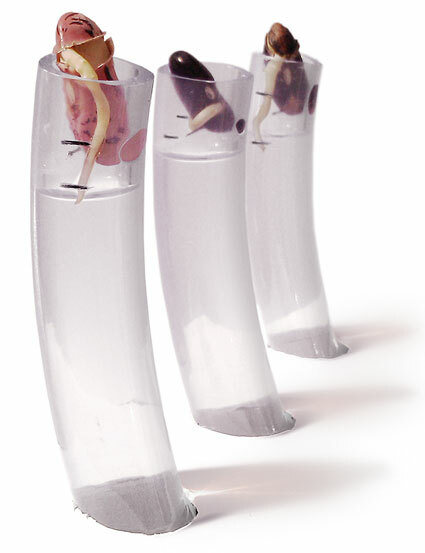 Or, why not make your Big Fat Bean Race in to an even bigger experiment by adding different amounts of plant nutrient (or even different nutrients) to each tube and record which one does the best. The simple folds needed to make this lovely little origami box can be learned in a few minutes. 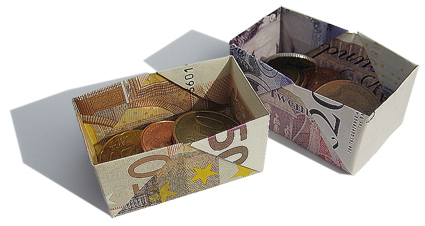 Crisp, new banknotes make beautifully detailed (and obviously valuable) boxes, and as there is no tearing involved, the money can be easily unfolded and spent; double the fun. What a great way to give a gift or leave a tip in a restaurant (budget permitting, of course). 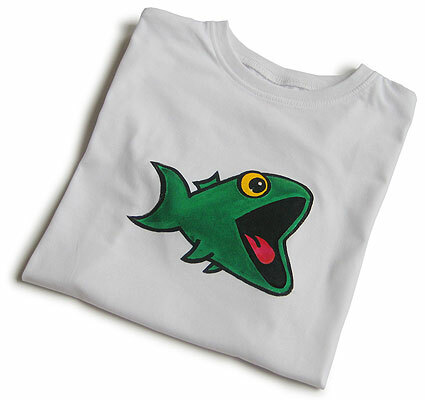 Painting a T shirt is so easy, it's a perfect way to spend a summer holiday afternoon and you have something great to wear at the end of it. Either you can paint the T-shirt for your children or they can do it themselves (which is more fun). Either way they’ll love wearing the end result. The best part is that you can buy plain white T shirts incredibly cheaply, so painting on them is no more expensive than painting on a big piece of paper. You can’t beat personalising your own clothes, and it’s much more fun, so much cheaper and about 1000 times more personal than buying a slogan or branded T-shirt. 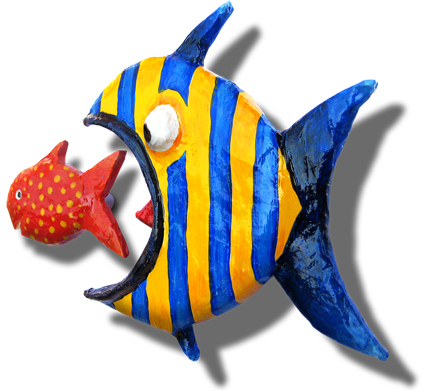 Why not try making these simple catching fish cupboard door handles. The big fish chasing the little one, we know the little one will never get eaten because the handles are fixed to the cupboard doors, in any case he looks too quick and cheeky to get caught. Yet the bold shapes and bright colours and the tension of the chase make these handles exciting, mesmerising and for your kids something wonderful to remember. And they’re dead easy to make with our clearly illustrated instructions. Whizzing round the earth at 17,000mph (27,000kph), taking only 97 minutes to make an orbit, the 11 tonne Hubble Space Telescope has done for the 20th century what Galileo did for the 17th, that is, proved beyond any shadow doubt that we are not at the centre of the universe. In one ten day period in 1995, the Hubble stared at a tiny spot of space (about the size of the eye of a needle at arm's length) and took a picture of trillions of stars. 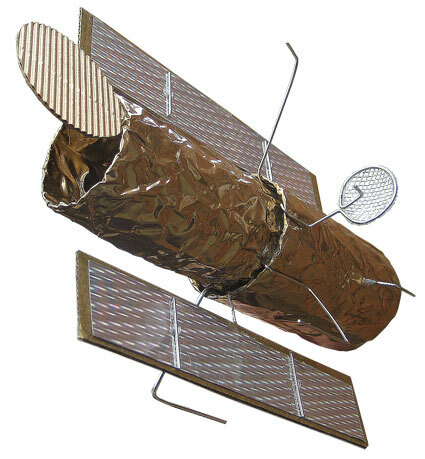 Now you can make this quick and easy model of the Hubble, one of our greatest inventions and use it to open your children's mind to the vast wonder of the universe. Who knows one day they might be the first generation that goes out and properly explores some of it. Long before the internal combustion engine (that's the engine a car uses) was around, the external combustion engine dominated public transport. For over 100 years the big, fire gobbling, spitting-hissing, cloud making, roaring steam engine, a modern day dragon if ever there was one, stormed up and down the country inspiring awe and wonder in the hearts children and grown-ups alike. Only ten years after the first passenger train changed the world (in 1829), toy makers were cashing in on the transport craze, by making "carpet railways". Since then almost every child has at one time or another been fascinated by trains, whether it be Brio, Thomas the Tank Engine, Casey Jones or model railway sets. 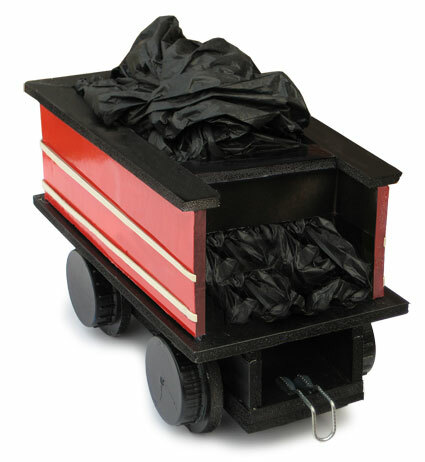 Bring some of that old fashioned magic back to life by making this great looking steam engine. It looks much harder to make than it actually is, and as usual our instructions will help make you look every inch the train building hero. The summer holiday is here at last, and now you've got the kids under your feet, what could be better than letting them loose in the kitchen with some egg white and half a kilo of icing sugar? Sounds like a recipe for a huge mess and a whole load of fun and of course some really cute tasty little sugar mice. If you like the idea of making them and want to do something magical at this time of Harry Potter fever, then why not combine this project with our very own Wizard's Cake Box, There's three different boxes to choose from and any one of them would make a great gift when filled with home made sugar mice. Make a wonderful wand using our world famous wand making instructions. 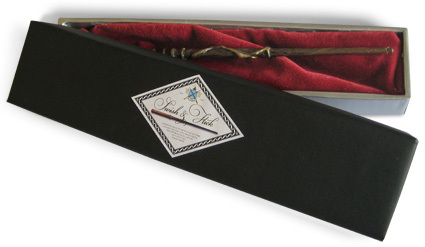 Now there's a wand box too. 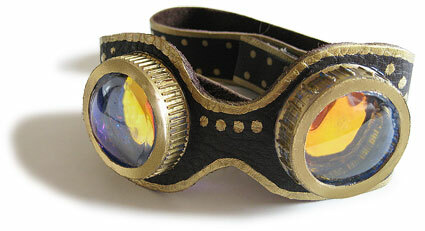 Or make a Mad Eye and wear it to the cinema, how cool would that be! Ink pots and quills, dark secret books and even a wicked potions invite for all those Harry Potter parties. What are you waiting for... make the fantasy real and make something lovely. The world of Harry Potter has tapped in to the creativity of a generation and hooked into everyone's imagination. We have loads of great Harry Potter and Dragonry related projects for you to enjoy. All beautifully illustrated with clear instructions to make sure that you make the best models, toys and film quality props to play with and get immense fun from. If you've ever wanted to get your hands on a dragon scale, now's your chance. Making it could not be easier (you've probably got everything you need right now) and the results look every bit as good as real film props. Make a fine collection of Dragon Scales coloured from all the dragon species you can think of. Make a pouch from a scrap of Chinese brocade material to keep them in or put them on display in an old Chinese painting set box, or even make a lovely Shadow Box, to really display them in style. 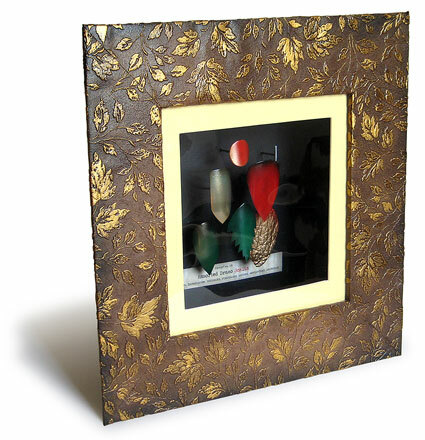 Since Victorian times, shadow boxes have been used as a great way to display precious memorabilia. Now you can easily make one for yourself. 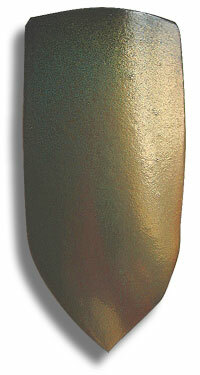 You can make it any colour you like, but here you can see how to make an antique looking one. This box frame displays my precious set of dragon scales. Next week I will explain in detail how to make the scales as well, but for now, you can start making the box from our simple instructions and there are no end of things that you can put in a well made Shadow Box. In fact why not make one for a father's day present and make a simple dioramas (that is small scenes) or an arrangement of objects that have a special meaning. As Father's Day approaches (21st June), we thought you might like one or two original projects to help you tell your dad how much he means to you. The first project is a lovely little handmade booklet of vouchers for good deeds and favours. Use the printables provided or design your own treats on the blank pages also provided in the downloadable. If you like the idea of making something original for your dad, then why not have a look at the rosette project, there's five colours of rosette to choose from. There was one piece of protective apparel that I have never been without; my Flare Resistant Glaremaster Goggles. Extremely lightweight, the originals automatically adjust their transmissivity, such that normal vision is maintained regardless of the viewing conditions. Blinding flash flares from the nostrils of an angered dragon are instantaneously dimmed, yet by the same infernal mechanism, dark caves need no illumination, as the Glaremasters boost the available light in order to automatically enhance one’s vision, so as to render the carriage of lamps unnecessary. 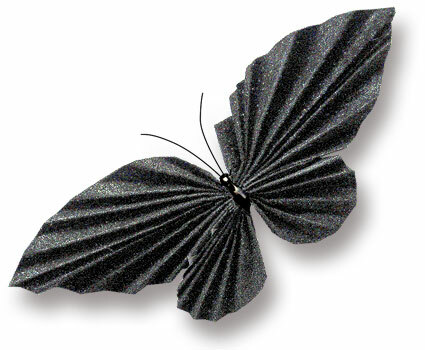 Although the company that made them no longer exists, you can make a pair yourself from our simple instructions and templates. Have fun this weekend and make something great together. What a great way to spend a Sunday afternoon... sword making. now you can make this full size (wooden) samurai sword, using our easy to follow instructions. It's our newest, advanced project, but you'll find it quite easy once you get going and the result is incredible. Make something really cool with your kids this weekend. The downloadable instructions show you how to make each part and how to wrap the handle in webbing to get perfect authentic ITO (braid) look on the TSUKA (handle). As promised, the last in our current series of mythical beasts to sharpen your artistic talents, while making gorgeous greetings card or illustrator's plates. This week there are three Draw and Colour Human Chimera to choose from: a mermaid, a centaur or the the wicked little faun. Keep your finished work as a beautiful drawing, or use the simple instructions that come with each download to make a lovely greetings card. Pale coloured outlines mean that you can draw over the image to get the best "I drew it myself" result. Each card has a short fact about the half-human half-animal in question. There are nine creatures in all, so if you'd like to see more, go to the Doing Section where you'll find our new Colour and Draw project list. When you go out adventuring you'll find that it's not all plain sailing. Sometimes a tiny bit of skulduggery is needed even in pursuit of the most honest goals. 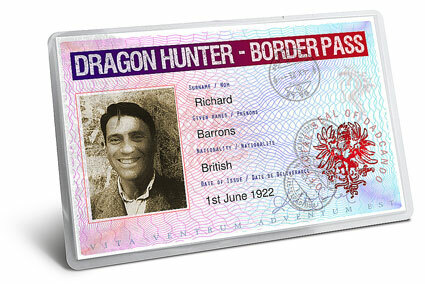 I recently found an old photograph of my 1922 Dragon Hunting Border Pass (complete with the local currency deemed necessary to buy its acceptance). The badly damaged photograph is only one of two pieces of evidence that remains of my last trip to Ngari, the highest point on the Qinghai-Tibetan Plateau, and one of the most beautiful places I have ever visited. My goal was the peaceful study and conservation of what was then thought to be the last remaining Tibetan Lung, but at that time the local ruling party was bent on their destruction and was only allowing dragon hunters to gain access to the region. I forged this Hunter's Pass to gain access to the plateau, so that I could study and perhaps even and rescue the precious beast. The pass itself was lost on the trip, as you can find out in my story, here, but armed with this photo, I have had a replica made so that you can make a pass for yourself and retrace my steps, although you'll find all signs of the draco-beast have long since gone. Perfect for any time in Spring, a String Nest. 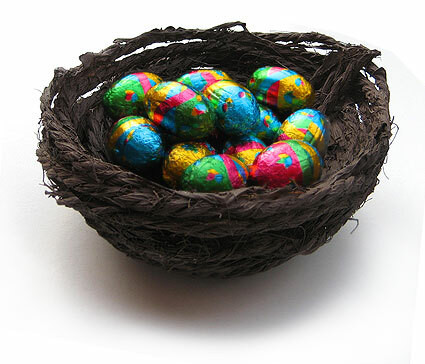 It's so easy to make and looks just like a real nest. It's a great school holiday project. The download comes with a couple of neat little gift tags both in full colour and drawn only with a simple light grey line, to make them easy for you to colour in to make this nest the perfect gift for somebody you love. 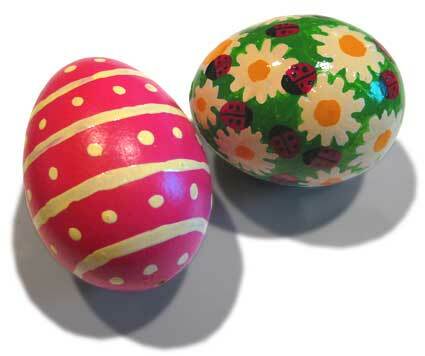 For hundreds, if not thousands of years, people have painted eggs. Some crafters nowadays prefer to buy and paint wooden eggs, but for me that takes away some of the magic of painting a real egg. There is nothing quite like the feeling of painting on a real hen's egg that has been blown. It's so light, it's so delicate, it seems really special and fragile; in fact, it just has to be a real egg. Paint it carefully and you'll have something beautiful at the end of the project and something that needs to be handled with respect and kept somewhere safe. If it is your first time, go for simple shapes and bright colours. You'll find that painting an egg is harder than it looks, but spraying the egg first with a bright coloured spray paint really gives you a head start. Use nice, glossy, quick drying enamels (which can be bought in very small pots) and most importantly, for the best results, design your egg before you start. As usual with our projects we have provided a neat template for you so that you can plan out your egg designs, and we have come up with a great way to help you keep the egg steady so that you can paint it more easily. Have fun and don't forget to upload pictures of the lovely eggs you paint. Building an egg timer is a really neat experimental project because it has all the fun of making something and yet it is really proper science. Talk to your kids about the experiment. I don’t believe in dumbing down things for children too much. They are learning machines and hungry for any interesting bits of information. As long as you use words that they understand, you’ll find that kids of any age readily grasp new concepts. Discuss the nature of time and measurement with your kids as you are making the egg timer. But make sure you listen to what they are saying, when they are relaxed and having fun the things they talk about are a good window on how they are thinking and feeling.
. . . This project shows you how to easily make a sand timer that can be used to accurately measure the time needed to boil an egg (three minutes). Use soft, fine, dry sand and calibrate your timer carefully and you will find that it will quite accurately measure the time it takes to cook a perfect soft boiled egg. We've finished making the plans so now it's your turn to have fun. All you have to do is print out the template and fold it up. There's a blank design if you want to colour your own in. Why not use it for a neat little Easter gift (you can fit one chocolate inside, or what about popping a Mother's Day present in side it. 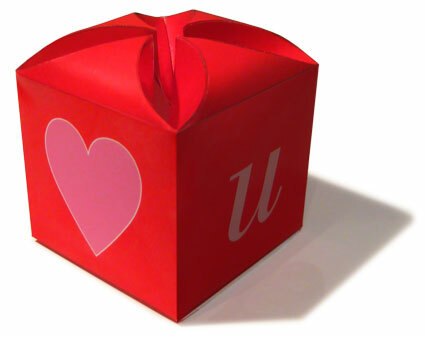 Valentine's Day is passed but you don't really need a special as an excuse to make and send someone you love this lovely heart shaped box. 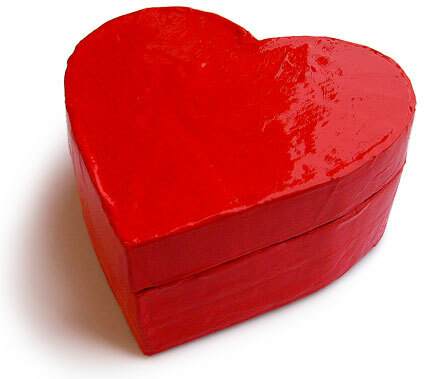 This gorgeous Love Heart Shaped Box is really easy to make following our simple instructions. Make it and give this as the gift, or make it and put something lovely inside it for the perfect present. It's something my father always claimed to be, but in my children's eyes, it is a crown that I now wear... King of the Yorkshire Puddings. 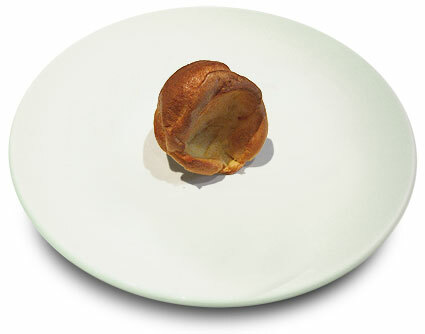 Crispy on the outside, fluffy well risen on the inside, melt-in-the-mouth Yorkshire Puddings are a compliment to any roast and make a very nice dessert, and what's more they are very easy to make and make well. Kids love them (who doesn't), so get mixing and find an excuse to serve them... even with sausage and mash if you have to, we have the perfect recipe that will make you the undisputed champion of the Yorkshire Puddings. Follow the story of Melros's discovery of the smallest dragon's eggs ever found; the tiny Wisp Dragon's Eggs. 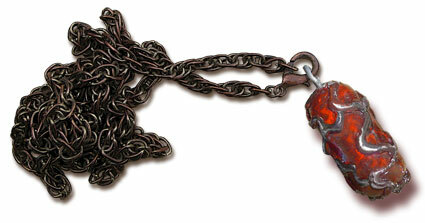 Read how they came to be made into pendants and then learn how to make them yourself. 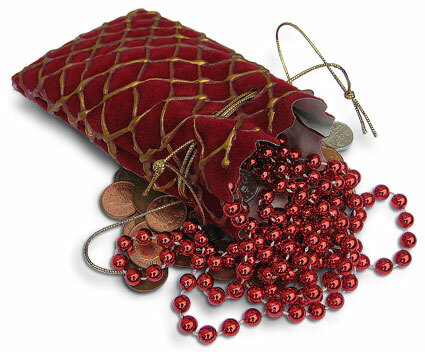 Perfect adornments for your mantleshelf or for wearing about your person. Find out why the real eggs must be securely locked away, and then write in and tell us of your own experiences with these little known but exquisite miniature artifacts. There's never been a better time to join dadcando... a whole year of fun and creativity for only £9.95. Beat the credit crunch! Join dadcando today and get thousands of hours of fun and creativity that will last you the whole year. Doing projects on dadcando together, is not only one of the most rewarding ways to spend time with your children, but it is also the perfect way to build your child's confidence, creativity and problem solving abilities, and therefore help them do better at school. With a back catalogue of over 350 projects and project downloads and an exciting new one each week, there has never been a better way to spend £9.95 and make the most of the time you spend with your children. And you don't just have to be a dad to join, half our members are women and we have thousands of grandmas, grandads, uncles and aunts and children as members. 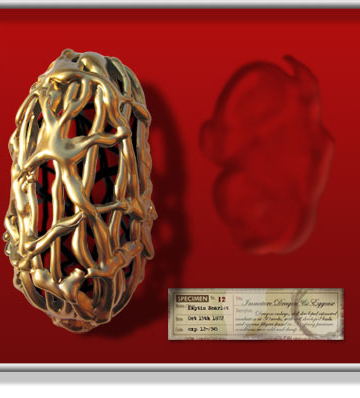 Your long wait is over, I have at last recovered my priceless Aurified Dragon Embryo. 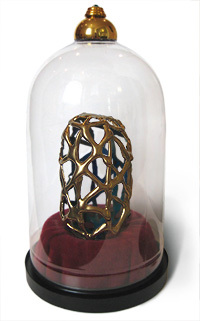 As you know, I have been exhibiting the famous Dragon Filigree Egg Case for some time now, and it must be said that you have even made some wonderful examples of it, truly worth of one of my expeditions. 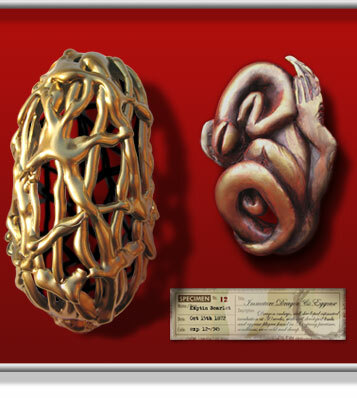 But ever since I found that beautiful Egg Case lurking in my attic, I have been searching for the Golden Dragon Embryo that I found near a Tibetan monastery over 60 years ago. Such things are easy to mislay. As a pair, the pieces are priceless, but regardless of that, it is wonderful to see them reunited again in the same display case.
. . . I have just published the story of how I came to own this gorgeous sample and a simple set of directions of the manufacturing process, whereby you will be able to fashion one of these elegant pieces for yourself. I hold you will take this opportunity to make this rare piece and help me unravel the mystery that has surrounded it since I discovered it over 60 years ago. Easy to follow instructions and two gorgeous label printables help you make a perfect job of this beautiful Secret Box Book, which is big enough to store all your precious papers and trinkets. It's easier to make than you think with our illustrated instructions explaining every step and complete plans to make sure that your Secret Box Book looks as good as this. When my one of my best friends became ill, I was dispatched to a quaint little apothecary in Old Compton Street to find a cure. The wise old pharmacist had just the right prescription, but it was not at all what I expected. Read the tale here and of course, mix up some of your own wonderful potions and label them with these beautiful antique apothecary labels; only on dadcando. When I was a kid, one of my favourite projects was designing and drawing up a map of my very own country. Imagining all those roads, rivers, towns, coves and beaches was completely absorbing. 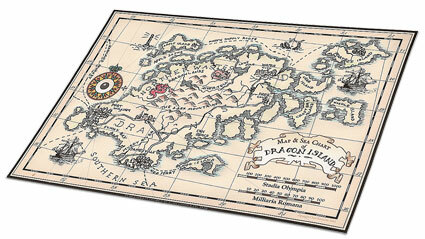 Drawing up a fanciful map is a great way to get children interested in a wide range of important concepts. Maps can be drawn with fanciful illustrations of features, such as would have been common in maps drawn hundreds of years ago, or they can be a little more modern, with contour lines and proper map symbols. More than one map can be drawn showing different aspects of your land, say a political map, a rainfall map or an A to Z road map. Design an island as I have done, or draw the detail of a city. When you’ve finished drawing the map, why not write a short story of how your map came to be found, or how you discovered your wonderful new country. Blank maps and instructions on how to make it look authentic can be found here, in the Dragonry. Much has been said in the wizarding press and in almost any authoritative textbook you care to mention, of the importance of a choosing your wand carefully. It can not be denied that the wand maker's craft is an exacting one, but what is so often overlooked is the art of the wandbox maker.
. . . If you have made a wand (and we have a fabulous project for doing exactly that, here) and would like to present it and keep it safe when it is not in use then this project will be perfect for you and your first step towards becoming a master wandbox maker. Although I never reveal my age, people are often puzzled at how I can look so young and yet be able to describe my adventurous activities of more than 100 years ago as if the events were only a few weeks past. I can reveal however that I owe by longevity to a single brief encounter with Le Comte de Saint-Germain, whom I met by accident as I travelled across Europe on official business in the winter of 1898. I tell you the tale of my meeting and thus how I came to own this lovely little bottle closure. 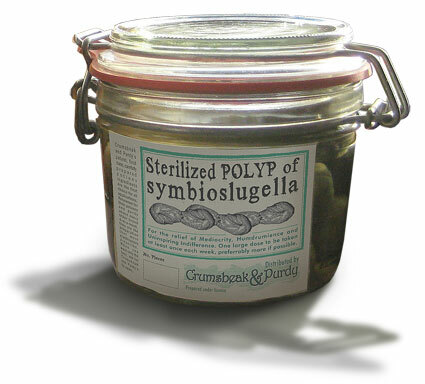 However, unfortunately I am unable to offer you a recipe for the formulation of the amazing Universal Medicine of the bottle that it stoppered. 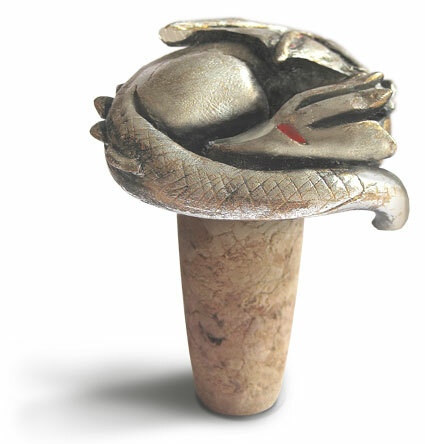 Find out here how you can make a lovely little silver dragonesk bottle stopper. Originally designed and first used in Germany in the 15th Century after the birth of the moveable type printing press, bookplates are still in use today and antique versions are themselves the subject of many collections. 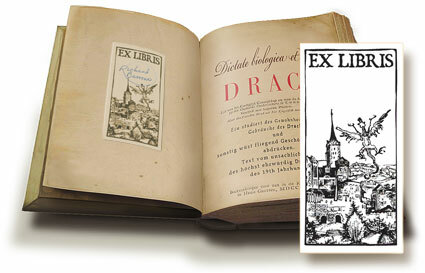 Now you can download and use your own ex-libris bookplate and mark the ownership of some of your most treasured possessions... your books. Start making your own library right now, and make sure you never lose another book again, right here. 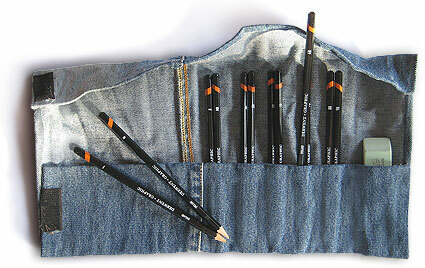 Useful for school, useful for outings, useful for home; the jeans pencil roll is just about perfect for keeping your best pencils safe and organised at all times. That's why a pencil roll is exactly what professional artists use to keep their materials organised. 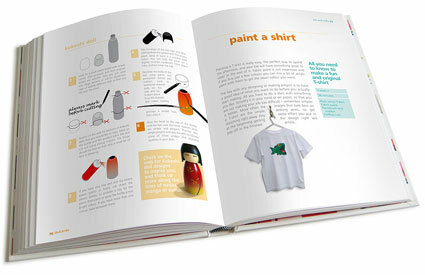 Now you can have fun making one of your own in a few minutes from an old pair of trousers, curtains or upholstery fabric. You don't even need a sewing machine, because in this project we show you how to make this pencil roll using hot-melt glue gun glue instead of sewing thread. As usual, our beautifully drawn instructions explain, in simple steps, exactly how to get a result that looks just like this in only a few minutes. Have a laugh at my expense as you read how I was tricked by a Shaman Hidemaster in to purchasing dragonhide a almost double its true worth. Of course, you needn't purchase the hide, you can easily make it yourself, using simple instructions that you'll find here. I would have thought that such a pouch would make the excellent gift. Back at the turn of the last century there was no email and as the world was still waiting for the Wright Brothers to make their first epic flight, there was no airmail either. A short message might be sent across the continents from a far off land, by telegram. A few choice words tapped out in Morse Code by operators skilled in the art, and relayed from country to country via a network of telegraph stations. Of course this was not much use if you urgently wanted to send a small package, or even a long letter. Travelers and adventurers to the farthest corners of the World, required something better. In 1896, an enterprising businessman started a regular International Dragonpost Service offering, for a modest price, to deliver parcels and letters within three days, to any address the sender desired, using dragons. The service was highly successful, but was superseded by airmail services after the invention of the airplane, due to the limited availability of suitably trained dragons and their aversion to flying over large cities. 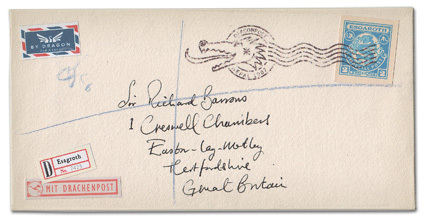 However, now you can recall those wonderful days by making your own recreation of the Dragonmail Airmail envelope label booklets, and Dragonpost franking postmark, that once was a common sight in post offices throughout the land, only here on dadcando. Here there be dragons... Almost nothing is better than receiving an interesting looking parcel from a far off land, bearing exotic stamps. Before I was old enough to go traveling myself, I had to be content with daydreams of fantastical places that were made a little bit more real by those strange stamps and their fascinating postmarks. 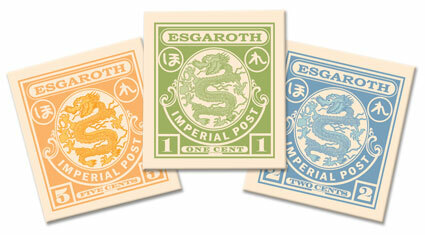 Now you can download a beautiful proof sheet of some antique stamps from our Dragonry. Based on a traditional design, these stamps will add that touch of beauty and realism to any model or package from a dark and distant corner of the ancient world. Or download them and cut them out and make a special Stamp album just for them to go with the rest of your dragonesk collectibles. In Victorian times, elegant withdrawing rooms up and down the land, would be stuffed to the gills with all kinds of knickknacks, seemingly poured out in a rich perfusion of ornaments, collectibles and memorabilia, arranged neatly to cover almost every available surface of the living rooms. 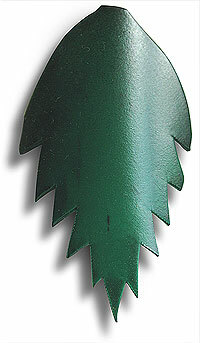 The traditional cast iron fireplace was certainly the focal point of any middle class Victorian home and a mantelpiece (more properly called a mantelshelf) without two or three statuettes, a candle holder or two and either a carriage clock or a glass domed display case, usually showing a stuffed bird or small mammal of some kind, would have seemed woefully empty and lacking in character.
. . . Victorian glass domed display cases can be picked up in second hand junk shops (if you're lucky) or more usually at antiques bazaars, but they are fragile and can be expensive, so why not make your own here.
. . . This project is the perfect way to display all your most beautiful holiday trinkets and the things that you make. It will keep the dust off them and really show them off in a special way, and the best bit is, that it's a very quick little project, and all you need is some cardboard, a Christmas bauble or something similar and an empty, two litre soda bottle. One afternoon last week, quite by accident, while looking for my trusty ivory ophthalmoscope in a tea chest I had not opened for nearly 50 years, I came across one of my old journals. Lazy, late-day sunlight filtered through the dusty attic window, and as time was not pressing, I idly thumbed through the pages. The adventures therein, though captured in such a naïve and faded narrative, reminded me of my wilder days, long since passed, and rendered the rest of the afternoon to an oblivion of reminiscing and recollection. Nought further might have come of this chance discovery had not my manservant, Collinworth, suggested over the lightly buttered toast the next morning, that the very pages that had been so demanding of my attention the day before could yet render me, and others, an invaluable service in permitting me to describe the delicate process of constructing a Golden Filigree Dragon’s Eggcase, and the use thereof to extract an original of the same against the auspices of a wary and ever watchful eye of the Tibetan Lung. Now you can read more about this story and follow the instructions, here, or by clicking on the picture below. You can see that I have mislaid the dragon embryo itself, but as soon as I locate that piece, I will furnish you with plans on its fabrication. Write and design your very own antique journal pages on this gorgeous download. What can be more inviting than the blank pages of a journal just waiting for your inscription, and yet what can be more reassuring than discovering and re-reading what you wrote years before. 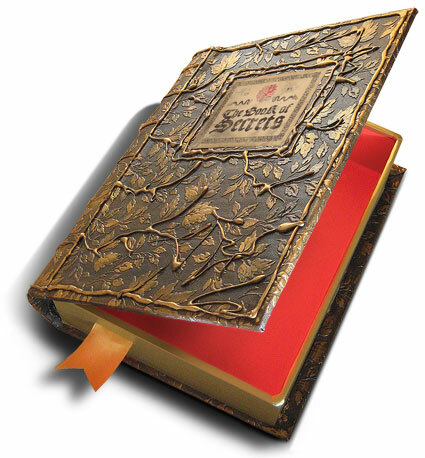 Keeping a journal of notes and ideas is one of the ways adventurers keep their memories alive. In this very simple project you can re-create the journal entries of a great adventurer by downloading and then printing out the blank images and drawing on them yourself. 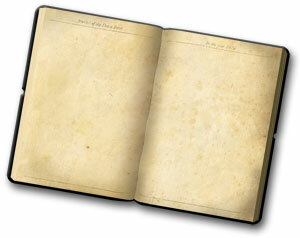 Download the project here or by clicking on the image of the blank journal. Life is your adventure, that's my motto. They said it couldn't be done, they said it shouldn't be done, but we went ahead and did it anyway. Isn't that what all heroes do. Brought to you from the whirrings of an 11 year old mind, it's not Top Trumps, it's Plop Trumps, buy them on dadcando, this is our first real you-got-to-buy-it product. Already reviewed as "the freshest thing to come out of the Top Trumps genre", and "the coolest kids thing in the history of the world ever..." we don't think there's anyone who doesn't secretly (or openly) find this fascinating. As well as some very scientific pictures specially taken for dadcando and some great vital statistics, each card has a very educational and interesting factoid on it. For example, did you know that a single locust can eat its own weight in food per day, and as the average swarm covers 100 square kilometres and is made up of tens of billions of locusts, together a swarm can eat 70,000 tonnes of food each day. You wouldn't want to see one of those coming if you were just about to harvest your crops! Enormous fun to play, huge kudos to own, find out more and buy here, while stocks last. We ship the same day by first class. There's tons of fun to be had making incredible things and doing the best craft activity or the coolest projects with your kids, using our fabulous templates, printables and beautifully drawn instructions. Incredible, easy to make, printed paper airplanes, the funkiest pompoms on the web or our really original origami paper shirts. You can do the best science experiments with your children, because our instructions show you how to do them and explain what’s going on. Now you can even cook a lovely meal for your kids, or a meal just for two, without a weighing scale in sight, even if you’ve never cooked before, using our simple recipes. Follow our very useful homemaking tips so that you can make your apartment or house a place your kids will want to call home. Or just help with homework, using our emergency printable lined and ruled papers paper . The web’s favourite site for dads and single parents. Now you can make your very own Golden Snitch, or everyone’s favourite, our Wizard’s Wands in a few minutes from a few simple bits and pieces of household junk.
. . . Dadcando is just brimming with downloadable instructions and printables of the highest quality you’ll find on the web, many with original graphic printer patterns, for example, see the X-1000 SkyBlade paper rocket along with all our other paper airplanes right here, or be whisked magically to the Mad Eye Moody’s magical eye project by clicking here. Dad… can we make something? An extract of this article appeared in The Guardian for Father's Day. The glue gun is heating up, the cutting mat is out and a tidal wave of empty cereal boxes, milk bottle lids and old shampoo bottles is already rolling its way towards me on the kitchen table – we are really going to make something.
. . . Often the kids will have very definite ideas of what they want to make, a film or computer game having inspired them. These days that tends towards some form of exotic weaponry; ray guns (of various extreme designs) or highly dangerous and implausible looking ninja throwing blades, straight off the pages of the latest Manga comic book. Research on the web provides excellent and easily accessible reference material and with a bit of help the result can be very satisfying. Sometimes they have no idea what they’re going to make before they launch into a new project, they just feel the urge to get creative and start rummaging around in the Junk Making Crate to see what curious combination of remnants take their fancy. Occasionally the inventive impetus is fueled by the straightforward and often urgent need to hand in a model making homework on time. This evening is just such an occasion; we have to make cross section of a plant cell. As a dad I know that this could be one of my greatest moments.
. . . When I was ten years old I had to make a model of “A Road Vehicle” for one of my homeworks. I was excited at such a brilliant assignment because I loved model making but I was worried that I wouldn’t be able to do anything good and definitely nothing half as good as I imagined was possible. My father was a very busy GP who practiced in the surgery that was an extension of our house. Couple this with the fact that I was the eldest of five children and it won’t come as much of a surprise to learn that one to one time with my dad was at a premium. So maybe that is why that evening, spent 30 something years ago with my dad planning, designing and then making a green articulated lorry, stands out as one of the strongest memories of my childhood. The black rubber wheels that really turned, made from some form of medical grommet raided from his consulting room cabinet; the bodywork painted in a proper dark green house-paint; the shape, though boxy, cut as it was from a cardboard net that my father designed right in front of my eyes, perfectly in proportion and the glorious fact that it was articulated, all piled up together to permanently glue that memory in its place as one of the almost heroic enterprises that my father and I had shared during my junior school days.
. . . “I think we’ll make the cell wall out of this old Tupperware ™ box”. I suggest, picking it out of the Junk Making Crate, while trying to remember if we have any green spray paint left over from the last project with which to give it a quick dry coating. William has already assembled a collection of likely candidates for all the cell organelles, it’s getting late but I think we might just do it.
. . . “… fathers have a way of putting everything together”.
. . . It helps that as dads we have experience in planning, more confidence and finer motor control than our kids, as well as the ability to buy more materials or better equipment if and when necessary once a project gets started, just to make sure that it stays on track. 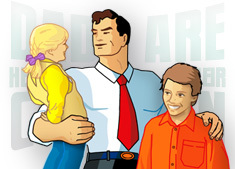 On top of all that, dads are a child’s first port of call for learning how to assess and tolerate a certain amount of risk, an important life skill and essential in the creative process, allowing ideas to be developed to their conclusion, rather than challenged or even ruled out by apprehension of the unknown in the early stages of an endeavour. However, the benefits of spending such quality time with your children run deeper than just turning them into competent model makers. Long-term research has shown that a father’s role, and specifically the quality and sensitivity of play between a father and his children, is the most important factor in determining a growing child’s ability to form and maintain normal relationships and feel secure in themselves.
. . . As my kids grew past toddlerhood I realized I didn’t have to wait for that defining-homework-moment to give me an excuse to spend time with them making things. By the time they started infants school, like most homes we had our fair share of colouring pens, paper and glue, but it was the chance discovery of the glue gun during a bit of DIY that changed everything. 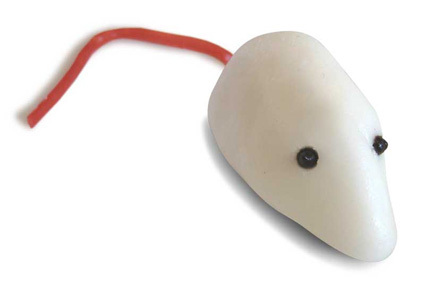 The ability to permanently stick almost anything to just about anything else within a few seconds certainly opens up the model making experience to younger children who are too impatient to wait for traditional glues to set. Of course, small children can never use the glue gun themselves due to the fact that it gets very hot, but therein lies second beauty of the glue gun - dad now becomes an intrinsic part of the building process. I began to plan projects a little in advance. I started looking at the everyday packaging we threw away more like a child who prefers to play more with the box than the toy it wrapped. Here a wingtip, there a robot nose and these bottle tops… hmm, perfect for a pair of dragon hunter’s goggles.
. . . “How about this for the nucleus?” William holds up a dented table tennis ball, grinning from ear to ear.
. . . Once the children were old enough to wield the glue gun themselves (with supervision) my function evolved in to that of advisor. As much as this role allows me to teach the kids all that I know about making things, their barrage of questions tells me in a rich and diverse way about how they think. We chat about nothing in particular, we laugh when things turn out right and when they don’t, we learn how to find workarounds that get us where we want to be via a different route. In doing so, we learn a lot about each other, they come to respect my opinion, I am amazed by their creativity and inventiveness, but I also learn the names of their school friends, who is “in” this week, what their favourite things are and I get an early heads-ups on any problems they may be having.
. . . Some of the things they have made make it in to school some get played with more than others, a few get put up on window sills or hung on thread from bedroom ceilings, all hang around long enough to remind us what we did together.
. . . “Could we make the cytoplasm out of cling film.” I nod in agreement. I feel a defining homework moment coming on and I know exactly what my son is thinking as we put the finishing touches to what is going to be the best cross-section of a plant cell that a dad and his kid ever made. dadcando’s little blog is a regular feature article on what we’re thinking each week about issues and interesting ideas relevant to parents and single parents. If there's something that you're thinking about and you would like to write an article to be published here, please contact us with a brief outline of your idea, and we'll get back to you. Cooking with your kids is really fun and can be very very easy. take this project, all you need is some ready made frozen pastry and some jam and you're on your way to making some kitchen magic. "Inspiration and support for dads who want to spend quality time with their kids. dadcando is bursting at the seams with creativity and fun. For that reason, I'm in!" 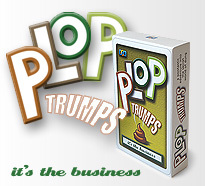 Every week we’re giving away a pack of the brand new card game, Plop Trumps for the best model you have made from dadcando. Everybody is talking about this latest trump card game and its fascinating blend of science and yuk factor. To win a pack, all you have to do is upload an image of your model. So get making, and get taking those photos and start uploading now and you could be a winner! You can also buy Plop Trumps if you want. Click here if you would like to read more about Plop Trumps and buy a pack. Texasmacuser says... "This was made with a couple of cola bottles, a medicine measuring cup and part of a spray bottle. It was fun to make and looks really great!"